Each body chakra has a symbol. These symbols are present on their respective chakra stones of this set. It weighs 50-110gm. 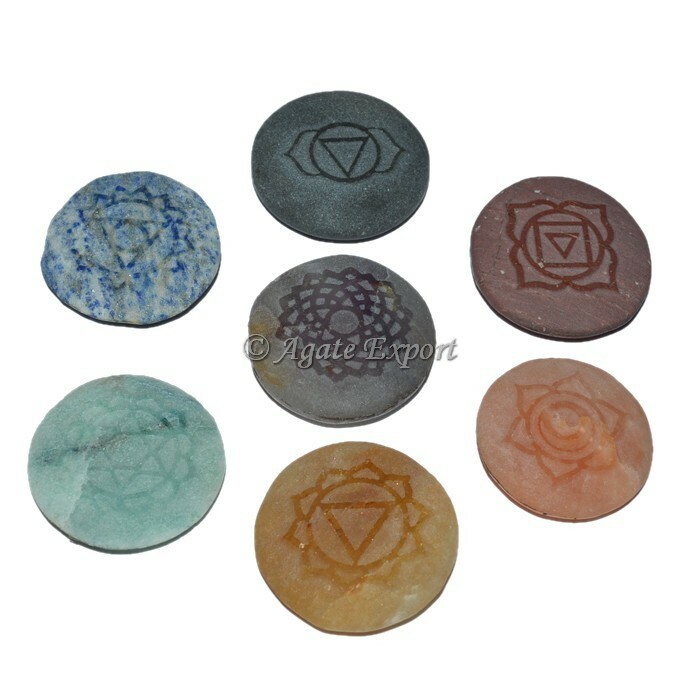 Chakra stones have the energy to unblock and clear chakras in the body and align them. Visit Agate Export site to order the sets.